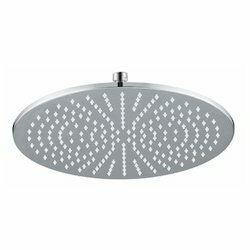 We are a top notch supplier of Raining Shower Set. We are offering Bathroom Rain Shower (Multi Setting) to our customers. Designed to perfection, these are resistant to Corrosion, making it a preferred choice of our clients and are widely used and available in various sizes as per client requirement. We are engaged in offering Square Rain Shower Set. We provide Chrome plated Brass Over head rain shower set. These are available in different types of finishes & can be available in varied shapes & sizes as per bulk buyer's specific need.